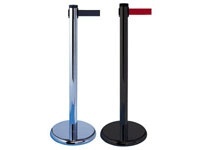 Safety belt barriers with twin tape provide an effective way of restricting people in busy areas such as banks, hotels, theaters, hospitals, airports, shopping malls, public offices and even train stations, from accessing work or cleaning areas. It provides a preventative barrier, and the lower belt restricts people from ducking under it. Where Can the Safety Belt Barriers with Twin Tape Be Used? Many establishments and businesses deal with high volumes of traffic of people on a daily basis. The safety belt barriers with twin tape are useful tools in such places. They help section off areas that are meant for staff only, so that customers do not interrupt business or get injured. Safety belt barriers with twin tape can be used by anyone who would like to prevent accidents from happening to customers. Additionally, anyone who would like to indicate restricted access to a certain area can also use these safety belt barriers. 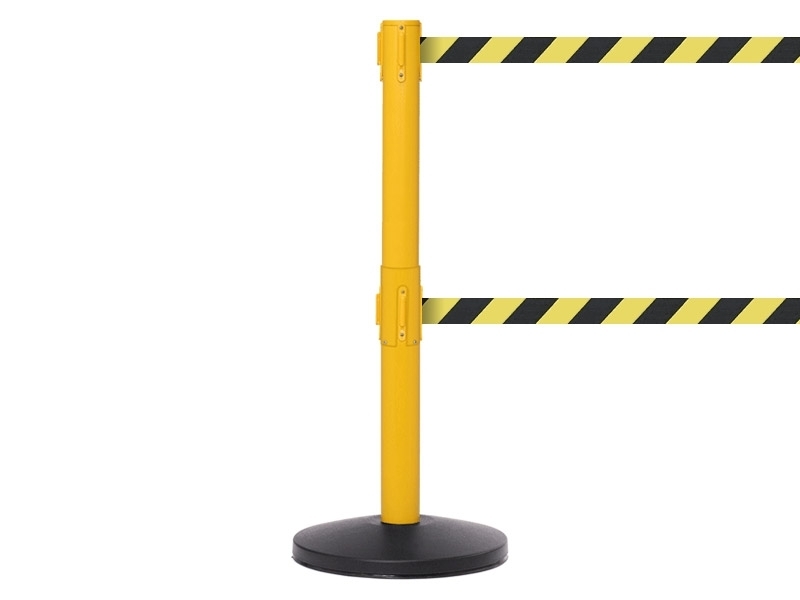 Available in yellow and black, red and white, and yellow with a choice of barrier message such as “Out of Service” or “Caution – Do Not Enter.” Perfect for restricting access and preventing accidents, these safety belt barriers with twin tape have posts which measure 64mm in diameter and are 1015mm high. The belt itself is 50mm wide and 3.4m long. This barrier weighs 9kgs. 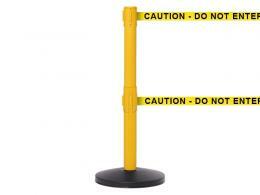 These safety belt barriers with twin tape have a 3 years warranty from The Workplace Depot. Free delivery takes 2-3 working days and is available to the UK mainland for all orders.